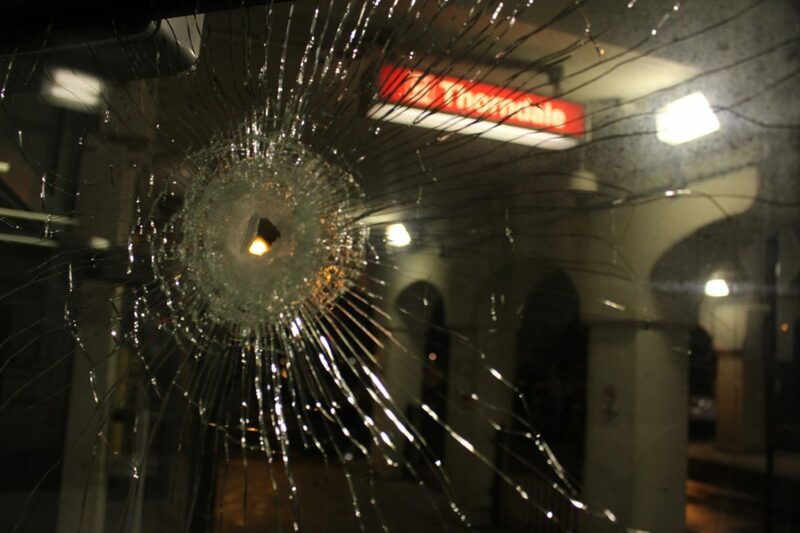 McKeever Spruck | The PHOENIX Bullet holes piereced the glass pane windows at the Thorndale Red Line station following a report of shots fired Sunday night. Wooden boards covered the shattered windows of the Thorndale Red Line stop Monday morning following a reported shooting at the station Sunday night. 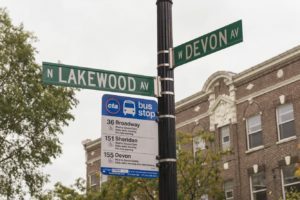 The Chicago Police Department (CPD) responded to calls of shots fired and criminal defacement of property at the station on West Thorndale Avenue around 9:23 p.m. Oct. 22, according to CPD News Affairs Officer Nicole Trainor. Trainor said the report filed by CPD did not describe suspects, and no one was reportedly injured, but the report noted several panes of glass on and surrounding the doorway to the station were shattered with what appeared to be bullet holes. 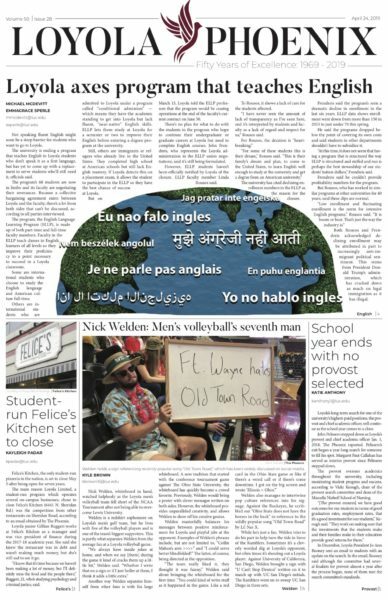 Several Loyola students live off the Thorndale stop, according to a 2015 heatmap of off-campus student residences. Loyola Campus Safety Command Sergeant Tim Cunningham said CPD did not notify Campus Safety of this incident which occurred outside Campus Safety’s jurisdiction.